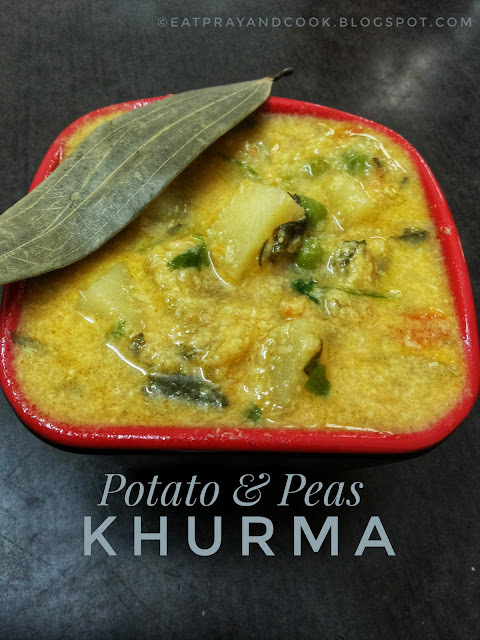 This potato & peas kurma is a versatile kurma which goes well with any of the following - poori, chapathi, parotta, idli, dosai, iddiyappam, appam and even with light rice like jeera or ghee rice. If I make this potato & peas kurma for lunch, I plan to make or buy iddiyappam for dinner to go with this kurma. 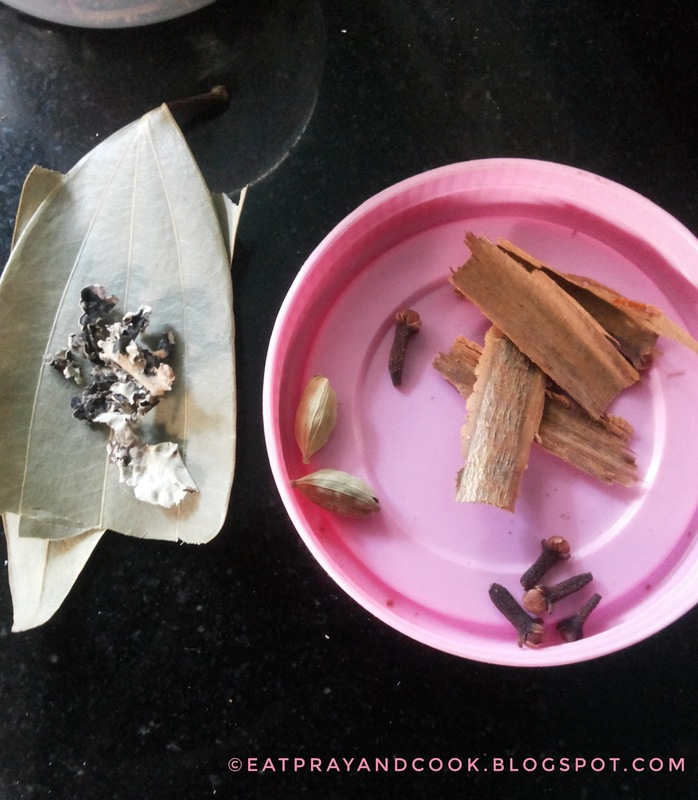 In this kurma, I will be making two pastes. 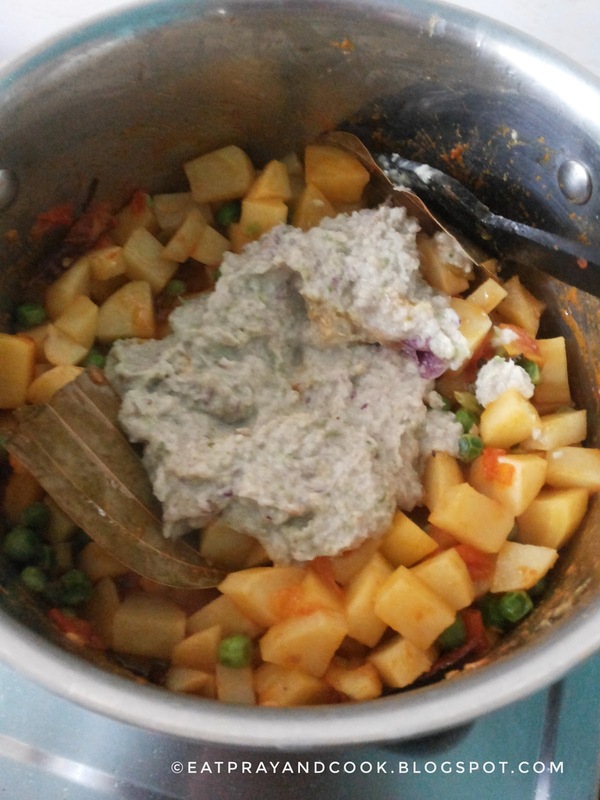 one is onion-ginger-garlic-green chillies paste and the other is the coconut paste. 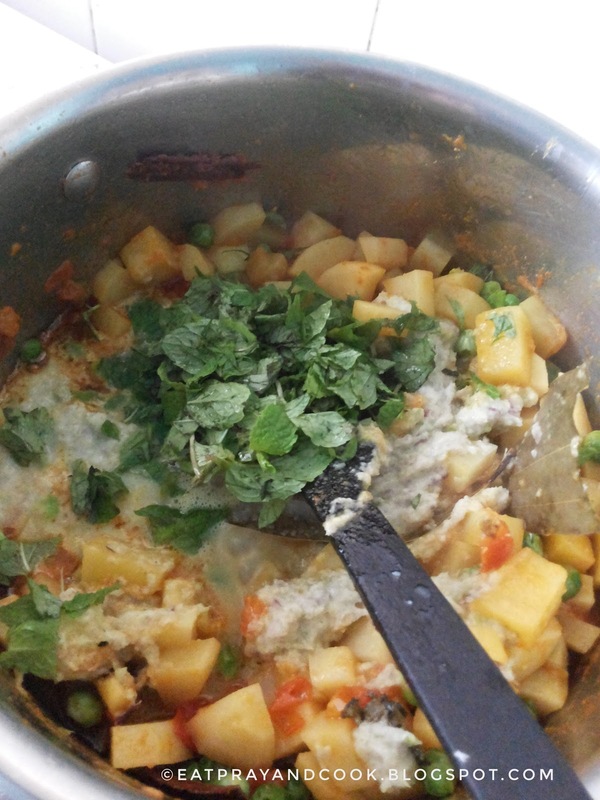 I add mint to this kurma which gives it a special touch. Its worth the effort taken for this kurma. You will get all positive feedback from those who relished it. poppy seeds (khus-khus) - 1 teaspoon (dry roast and soak it in water for 15 minutes). 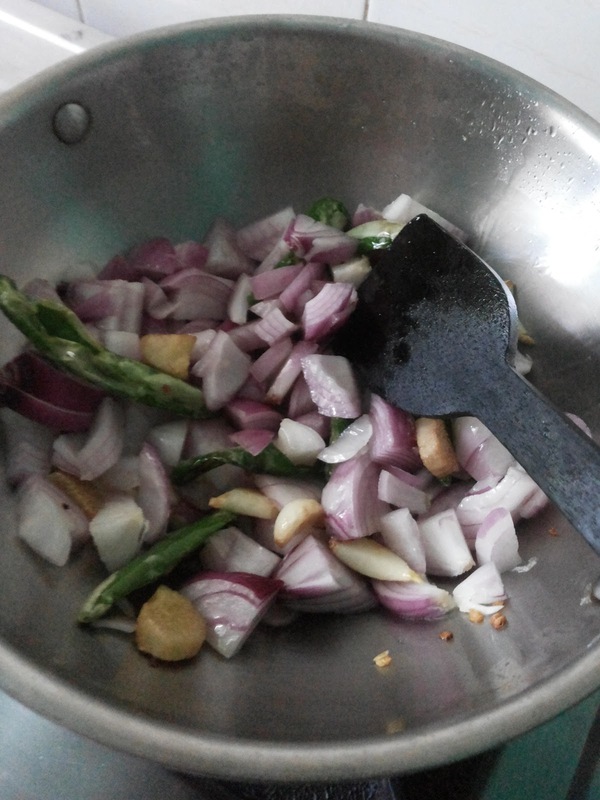 Heat some oil in a pan and add the green chillies, onion, ginger and garlic. saute this and cool it to room temperature. When it is cooled, grind it to fine paste and keep aside. Take the coconut gratings, poppy seeds, fennel seeds and cashew nuts in a mixer and grind to fine paste and keep ready. Heat some oil in a container. Add the cut tomatoes and saute for some time till the tomato softens. Now cut the potatoes to small cubes and add that too to this sauteed tomatoes. Add the peas too to this. Stir up. Add the chilli powder, turmeric powder and coriander powder and salt. Give a good stir. Add the onion masala paste to the cooking potato and peas. Mix well. Add the chopped mint leaves. Mix well again and saute for another 7 mins. Add salt and little water and cover. 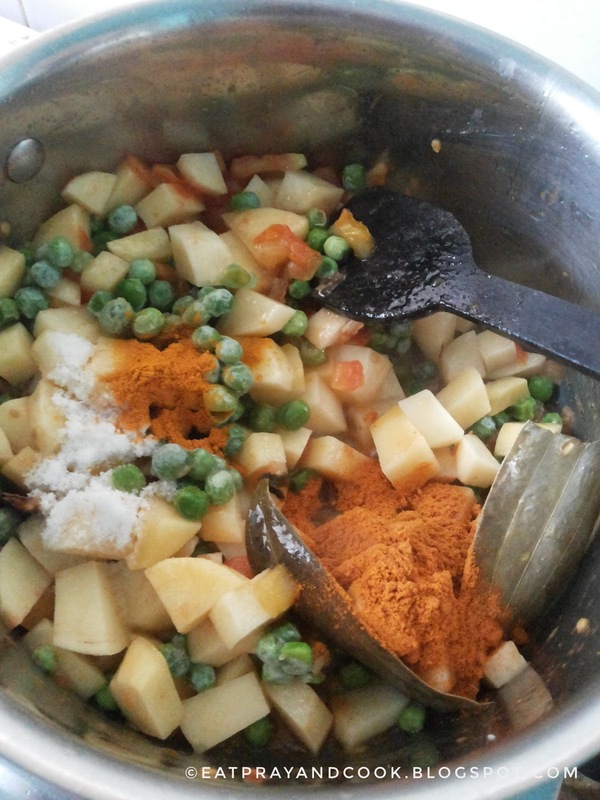 cook till the potato and peas are cooked. The kurma is almost ready. 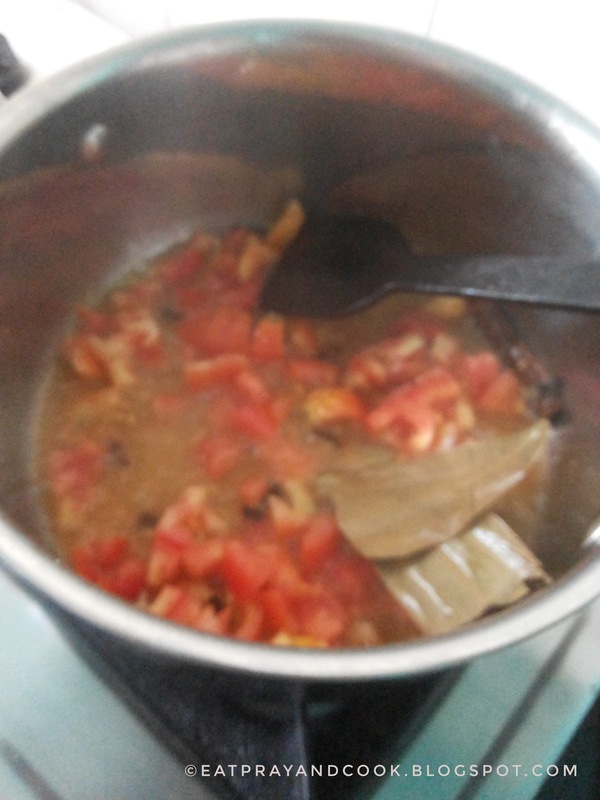 Now add the coconut paste to this kurma to give the final touch. After adding the coconut paste let this boil for just 3 minutes. Now the awesome flavourful kurma is ready to be served with your favourite main dish. 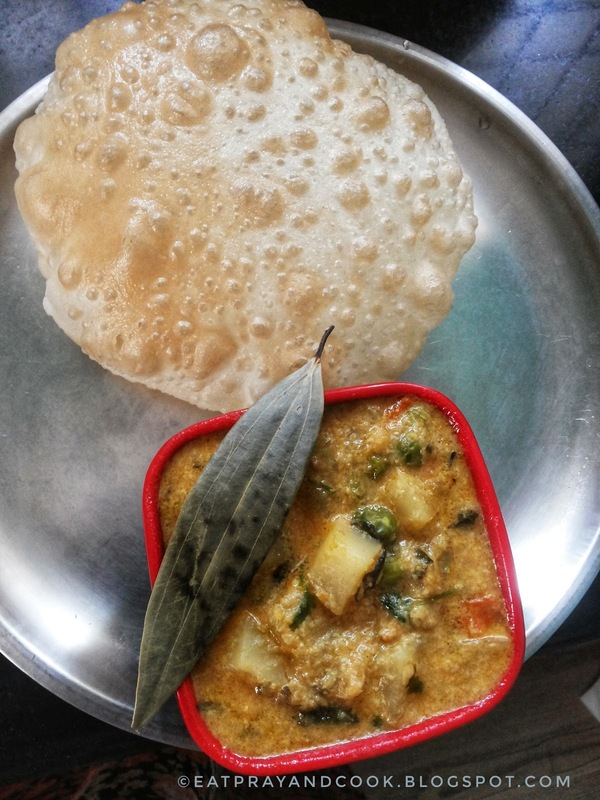 I made this potato & peas kurma with Batura or chola poori. It was super hit in my house. 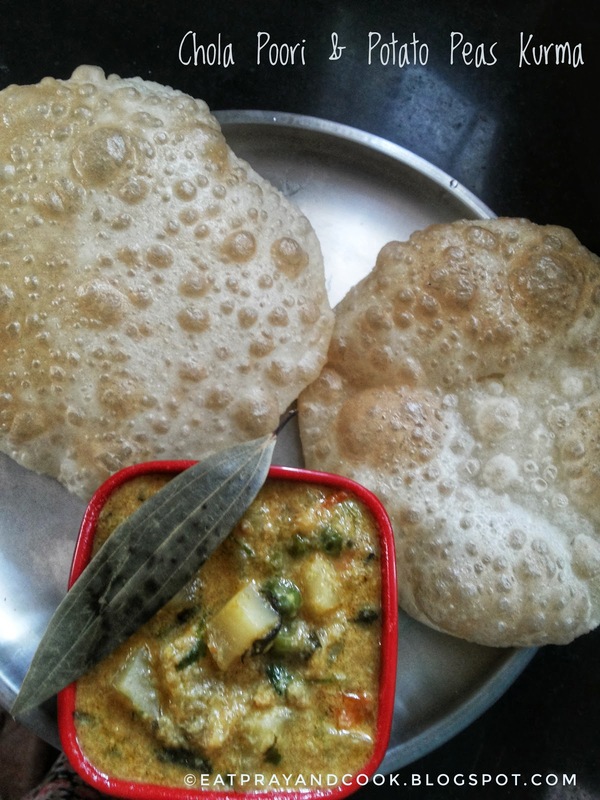 Here is the link for the recipe of Batura. Try this kurma in your house and please let me know how did it come out. 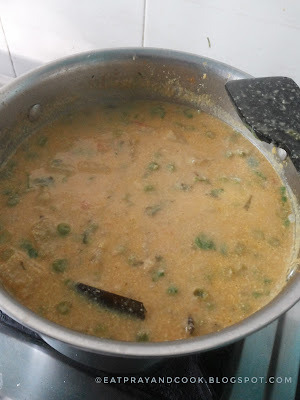 Also don't forget to tell me whether you follow any special tip to give this kurma a twist.